Now ranked number eight in the world overall, increasing its ranking by five spots from the previous year, Melbourne has moved into the top ten cities worldwide with best practice sustainability initiatives, while maintaining its number one spot in Australia. The GDS-Index is a platform that aims to promote the sustainable growth of international meeting destinations, highlighting best practices and responsible business tourism. It looks to bring cities together to benchmark and improve the social and environmental performance of the cities and its business events industry. 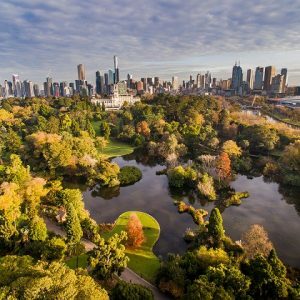 Melbourne and Melbourne Convention Bureau’s (MCB) sustainability performance was evaluated based on the city environmental performance, social performance, industry supplier support and MCB strategy and initiatives. Melbourne’s highest ranking was in the category of supplier performance scoring 81 per cent followed by convention bureau performance, achieving 80 per cent. MCB CEO, Karen Bolinger, said MCB has worked hard in partnership with the City of Melbourne to promote the value of sustainable practices for Melbourne’s business events industry. MCB’s sustainability focus is on driving initiatives across the business events industry, supported by the provision of a meeting planners tool kit to influence development and improvement of sustainability initiatives, a dedicated sustainability steering committee, access to sustainability resources, stakeholder education opportunities and supporting suppliers to obtain sustainability certification.